es) was acquired by the PABOE to construct a new high school. The site was undeveloped land prior to the construction of the housing complex, made for returning WWII veterans in 1951-1952. The site comprised 252 garden apartments in 29 two-story buildings. 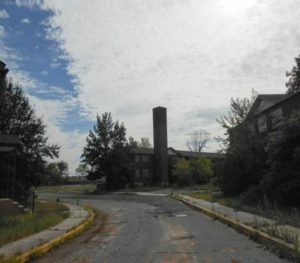 Approximately 11.7 acres of the site were acquired by the PABOE as a location for the future high school complex. Six of the 29 buildings require demolition. In order to alleviate over-crowding in the district, the New Jersey Schools Development Authority (NJSDA) approved project funding in the form of State aid to construct a new $224 million high school facility on this site. This project represents the largest school facility ever constructed by the NJSDA. PennJersey has been serving as the LSRP for the PABOE and has been reappointed annually since 2013. PennJersey was retained on this project to conduct a due diligence preliminary assessment/site investigation (PA/SI) prior to site acquisition. PennJersey will also provide remedial investigation and remedial action services to allow demolition and follow-on NJSDA construction to proceed in a safe, effective and cost-efficient manner. PennJersey is also assisting the PABOE with NJSDA liaison, public bidding/project specifications, demolition support and material disposal consulting services to provide a construction-ready project to the NJSDA.